Jon Gruden and Tom Brady have a bit of history together. You have to go back nearly two decades to find it, but that hasn’t stopped Gruden from grinding his teeth about it. Of course, Brady and the New England Patriots defeated Gruden’s Oakland Raiders in the playoffs back in 2002 in the game that would forever be known as the “Tuck Rule Game” — a game that still haunts Gruden, many of Oakland’s former players and Raider Nation as a whole. Apparently, that game is a big reason why Gruden is back coaching in Oakland right now. 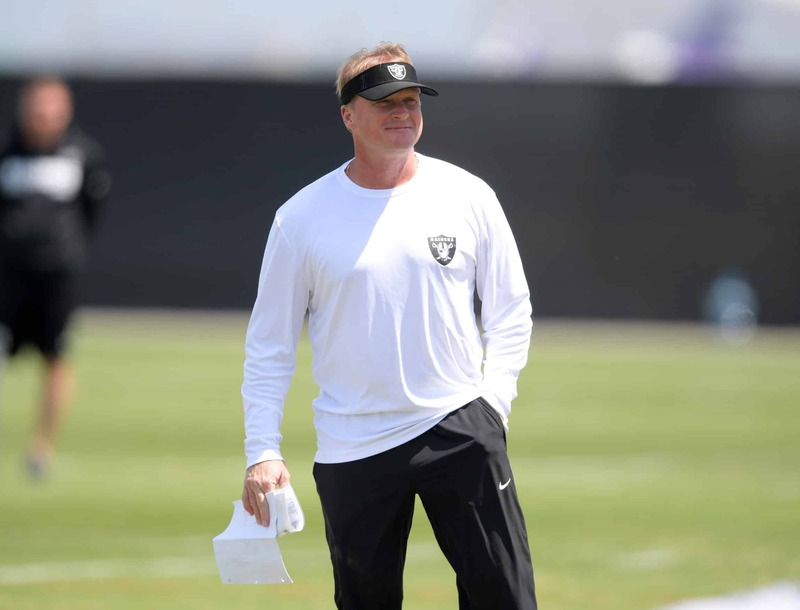 “He ran me out of Oakland in the Tuck Game,” Gruden said in an interview with Bleacher Report. “Damn. He brought those b******* back in a two-minute drill to beat us in a driving snow. They didn’t do anything the whole night until the game was on the line. And here I am 20 years later, and guess who’s still there. That game was the last time Gruden coached the Raiders until this year. He ended up replacing Tony Dungy in Tampa Bay and won a Super Bowl there before retiring for a career as an analyst. But ultimately, the memory of Brady taking him out of Oakland helped spur Gruden back to the NFL as the coach of the Raiders once more. Though, if he has any hope of fulfilling his dream for revenge against Brady this year, it’ll have to come in the playoffs.